The Orphanmaster has been named a Washington Irving Book Selection of the Westchester Library Association for 2013. Best Summer Read from USA Today! Summer Pick Shout-outs from the New York Daily News, Newsday, Los Angeles Times, Arizona Republic, St. Louis Post-Dispatch, Tampa Bay Times, and others! The Orphanmaster Movie: Nationally recognized independent bookseller Mitchell Kaplan and award winning Hollywood producer Paula Mazur (The Mazur/Kaplan Company) are adding The Orphanmaster to their feature slate of bestselling titles including The Guernsey Literary and Potato Peel Pie Society and Major Pettigrew’s Last Stand. 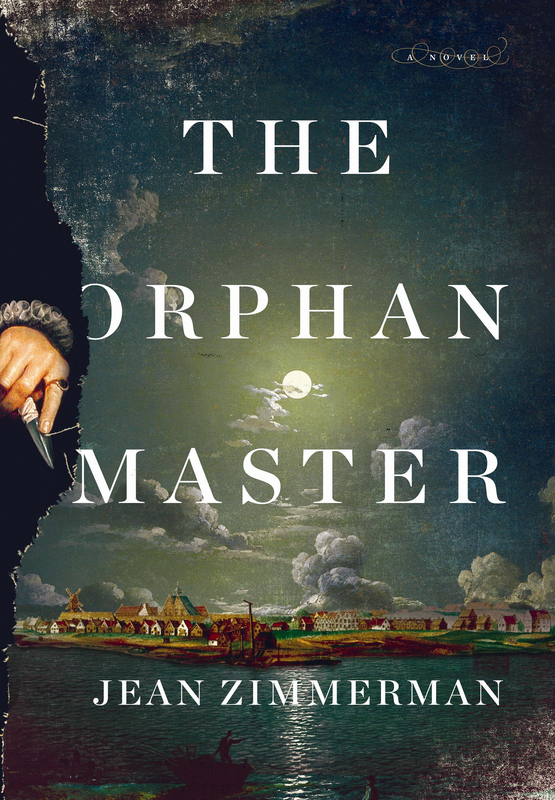 The Orphanmaster takes place during the years 1663 and 1664, in and around the tiny, hardscrabble Dutch colony of New Amsterdam, now present-day southern Manhattan. Orphans from the colony are going missing; a serial killer may be on the loose and among those looking into it are a beautiful fiercely resilient 22-year-old Dutch female trader, herself an orphan, and a dashing English spy who becomes her love interest. The cast of colorful, unforgettable characters includes the colony’s corrupt Orphanmaster, an African giant, and an Algonquin trapper who may be possessed by a demon that turns people into cannibals. Zimmerman recreates the scenes, textures and aromas of early New York City and its surrounding wilderness, conveying the harsh and earthy reality of life in the 1600s, as well as immersing the reader in the commerce and politics of the time, in a novel which is both a gripping historical thriller and a rousing love story. 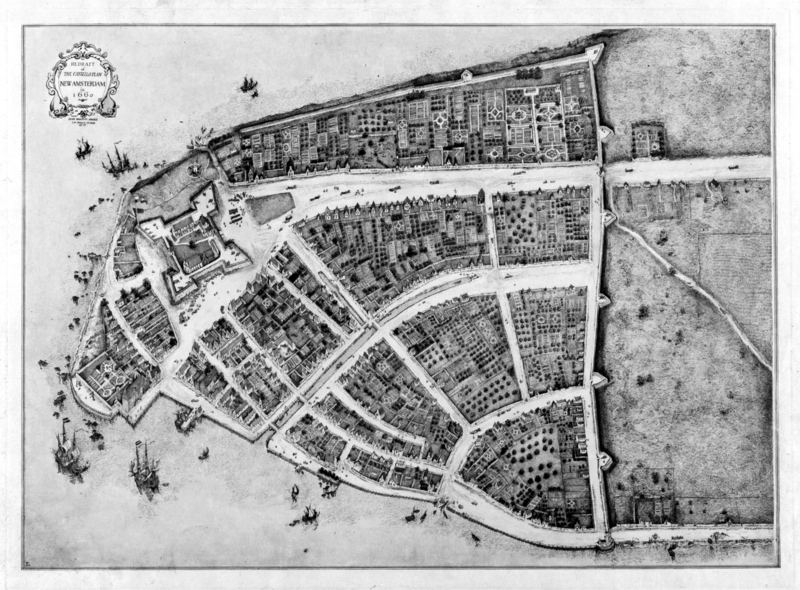 A 1660 map that is the first street plan of Manhattan. These are the streets traversed by Blandine and Drummond.